This seminar explores our inexorable movement from atoms to bits — from the centralized media landscape of the twentieth century, to that of the current bazaar of networked digital cultures. What does it mean to be citizens of a digital world? Do we invent our technologies, or do they invent us? Welcome to New Media. New Media represents a paradigm shift in the ways we produce and consume culture, and these shifts are, in turn, changing us. This course examines the theories of media: from those based on the physical (record players, tape recorders, VCRs, newspapers, books, records) to those based on digital information (computers, VR, DVRs, MP3s, etexts, video-on-demand). Both the theoretical and practical will fall under the purview of this course: not only will we consider the art and business of “new media,” but we will extend our digital fingers and participate in the discussion. Welcome to NMAC 4460, your Senior Seminar in New Media. The document you’re reading is your syllabus. Everything you need for this class is on this page or linked off of it. Bookmark it now and return here if you get lost or confused. 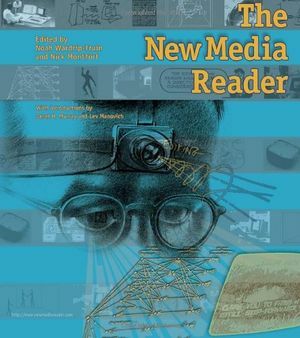 Since you are seniors in the New Media and Communications program, I expect that you are all veteran users of new media. I’m assuming, since you’re taking this course, that you are comfortable with working by yourself and have a basic Internet fluency. Much of what we do in this course will involve using digital media, but also challenging our conventional uses and attitudes toward them. Please enter with an open mind. NMAC 4460 is also designed to let you — the students — discover and create your own knowledge using the powerful digital devices we all have access to. You will learn more about my approach shortly. If you’re curious to know more right now, you might want to read my teaching philosophy and peruse the articles under HackEdu. Again, read this syllabus through carefully before beginning. You might want to take notes as you go, jotting down questions you have. I bet they are answered by the time you’re ready to begin the first lesson. Again, welcome. This course optionally offers the undergraduate research portion of the Experiential Learning@MGA program. This optional program is meant to involve students in applications of learning beyond the classroom. It will be accomplished through the course research component (see Project) and the submission of a research journal at the end of the class. See me early in the semester for more information, or if you intend to use this course to complete this requirement. Murray, Janet H. (1997). Hamlet on the Holodeck: the Future of Narrative in Cyberspace. New York: Simon & Schuster. Negroponte, Nicholas (1996). Being Digital. New York: Vintage. Kurzweil, Ray (1999). The Age of Spiritual Machines: When Computers Exceed Human Intelligence. New York: Viking Penguin. Lessig, Lawrence (2008). Remix: Making Art and Commerce Thrive in the Hybrid Economy. New York: Penguin. McLuhan, Marshall (1964). Understanding Media: the Extensions of Man. New York: Routledge. Your course book(s) or readings should always accompany you to class, as we will make heavy use of them in our daily discussions. Please do not come to class without it: we need the book for class activities, in-class writing, and all aspects of our study. PDFs must be printed if they are used in class. Failure to do so will earn you an absence (see Attendance). You should also bring an ink interface of some sort, as well as dead trees on which to take notes. Notes should not only reflect good listening skills, but individual interest in every topic discussed in class. At several points throughout the semester, your reading assignments will entail essays that are not in the above texts. These additional readings will be made available to you as PDFs via Google Drive: request access. You will need to download them, print them (or put them on your device), and bring them on the day we are covering them in class. Failure to do so will earn you an absence. This course has three requirements: exams, research project, and participation. Share a Google Doc with every member of the class. Use it to collaborate on class notes each day we meet. Consider it a master study document. Students’ knowledge of the course texts and lecture materials will be tested with a midterm and a final exam. These exams will test your knowledge of the subject matter (texts, lecture material, and vocabulary), your ability to synthesize this material, and your creativity in going beyond the discussion and lecture materials. The exams will include vocabulary, identification, and interpretation. All exam grades will be based upon objective knowledge of the material, thoroughness, depth of insight, precision, and originality. A formal research project will combine any aspects of the course topic into a well-researched, focused, and original project (see Research). This project could be a standard research paper, a significant Wikipedia contribution(s), or an approved digital approach to a topic. A proposal for this project will be due before midterm (see Schedule). A follow-up conference may be required to nuance your idea; you may, of course, discuss your ideas with me at any time. Poor attendance will negatively affect your grade. You must endeavor to attend every class, and it is your responsibility to ask a fellow classmate what you missed; in-class assignments, like quizzes, cannot be made up. Too many absences will constitute class failure. Please read the attendance policy carefully. 01/16 Monday’s intro and discussion continued. 02/13 Catch up. Project proposals due. Sign up for conferences. 7 02/18 Midterm In-class midterm. 8 02/25 Conferences No class. Conferences in CoAS-117. 02/27 No class. Conferences in CoAS-117. 04/10 Read: Kurzweil, “Reinventing Humanity”; Joy “Why the Future Doesn’t Need Us”; . . .
↑ "Experiential Learning@MGA". MGA. 2018. Retrieved 2019-01-06. ↑ Buy this book immediately, as you will need it first and use it throughout the semester. ↑ See the various resources available on this web site to help. They should assist in exam prep and provide guidance for your study throughout the semester.